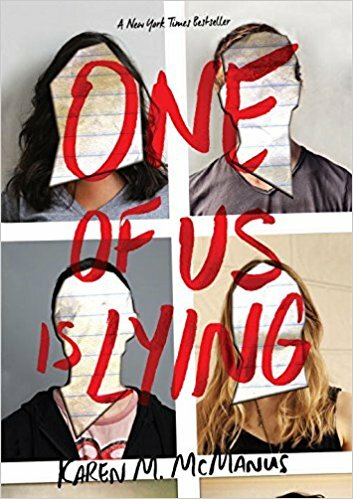 One of us is lying is a teen murder mystery that revolves around four teenagers who are accused of murder. and Simon the Outcast-owner of the notorious gossip app About that are stuck in detention together. However, at the end of detention Simon is dead and only the other four come out safely. Who killed Simon? OMG I adored this book so much. I've been hearing a lot about this book for the past few months but I put it off because murder mysteries are not my thing. I Sooooo need to get more in to the genre. This year I've sort of been opening myself up to new genres that I've never been fond of before and this book is definitely making me a big fan of mysteries. This book grips you from start to finish. The writing is flawless and not only does it deal with a murder mystery, but it also talks to you in the perspective of four teenagers with all really real problems. I somehow was able to connect with all of these characters on some level. The mystery in this novel is also perfect and it gripped me till start to finish. There is a huge plot twist at the end that was totally unexpected and it left me completely flabbergasted. Because this murder mystery was so cleverly woven together, I found myself accusing different members of the 'murder clan' as time went by and as different clues popped up. This definitely has a surprise ending with a twist so you don't have to worry about cliches here. Overall, I rate this book a 5/5 stars. 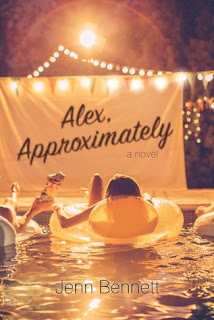 Loved loved loved this book so much and I would definitely recommend this to anyone who just wants a fast paced read. 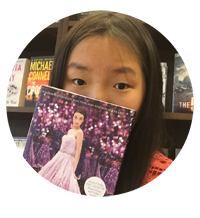 I'm so excited to read more from this author.